There are three main things separating you from the dirt.They are: a mattress, tires, and shoes. Were it not for these you would have nothing between you and the cold hard ground. These are things that are almost a necessity to spend money on. Other things, one can skimp on here and there, but not these things. If you have a bad mattress you risk a poor nights sleep and the consequent health detriments. A bad set of tires, you risk a bumpy ride, numerous flats, or running off the road in foul weather. And bad shoes. Well, your feet are going to hurt, and you’re going to look like a schlub. This is not a sleeping or car blog, so I’m going to talk about shoes. Be warned, I have strong opinions on shoes.I have a bit of a shoe problem. Target finally came up with a product that can keep up with my shoe collection. I think it’s meant to be a his and hers shoe rack, but in this case it’s just a his. Also, a good pair of shoes is going to run you $200-$300. Spend it. If you have a well tailored suit, a nice tie and complimenting pocket square, but you’re wearing a square toed, thin leathered, unpolished pair of Stacy Adams, then you’ve just ruined all your good looks with bad shoes. I have oxfords, wingtips and loafers of many colors, but if you’re starting out I would recommend purchasing two pairs of good dress shoes: one brown, one black. For your first shoe, the best style to go with would be either a cap-toe, or a plain toe. Wingtips, or Brogues, are the shoes with perforated designs. They are considered less formal, but I think they’re fantastic. Once you have two basic pairs, buy some wingtips. Regarding the style of the leather, go shinier (but not super glossy tuxedo shoe) rather than a suede for your first few pairs. One thing to be careful of with shoes is brand names. Many people shop this way, but most mens brands do not actually make their own shoes. Often brands farm out the making of shoes and then slap on their brand name. For a while the separation between clothes and shoes existed because dress clothes and dress shoes were made differently, and people knew that. But now, no one really does, and so people expect a designer to have all of their needs in one place. Brooks Brothers is one example, they never really were involved in shoemaking. In their case, many of their dress shoes are made by Allen Edmonds, Alden, Crocket & Jones, and other reputable shoe brands. But, that is not always the case, so one should be careful. That is why it is best to stick to brands that are known for making shoes. With that being said, some shoe-only brands, like Floresheim and Johnston and Murphy (in the past 5 years), have really gone down in quality. Both brands do have some lines that are still made with nice leather and in the USA, but their basic lines I would avoid. I have had good luck with Cole Haan. While most of their shoes are made in China, I’ve found they generally use good leather, and are of fairly high quality. Generally speaking, the shoes that are made in the USA and Italy are going to be of higher quality than those made in China. I will say from now until July 2nd Allen Edmonds is running a factory sale where they’re selling their shoes that retail for around $400 for $200. I would reccomend buying a pair, they’ll last forever. A good place to start in order to discern a quality shoe is make sure that it is all leather, or at minimum a leather upper (the part of the shoe that covers the top of the foot). If the upper, lining and sole, are all leather, it’s probably a good shoe. For a dress shoe, avoid rubber soles, as this is generally not as dressy as a leather sole, and also not as high quality. Check the welt as well, which is the area that joins the upper shoe and the sole. It should be tight to the side of the shoe, and also, it should be sewn together, rather than glued together. As far as how to match the shoes with your suit, I’ve done a quick and dirty list. There are a number of different colors of shoes and suits that I’m omitting, but this is a good guidestone. I’m doing shoes in three colors, black, brown, and cordovan (which is a sort of reddish brown that is common in men’s shoes). There are some other colors I’ve seen dress shoes in that can be worn in business, like grey and sometimes blue. The long and short of it is, spend money on shoes, from a company that only makes shoes, and don’t go too crazy from the norm with your first two pairs. After that though go nuts. 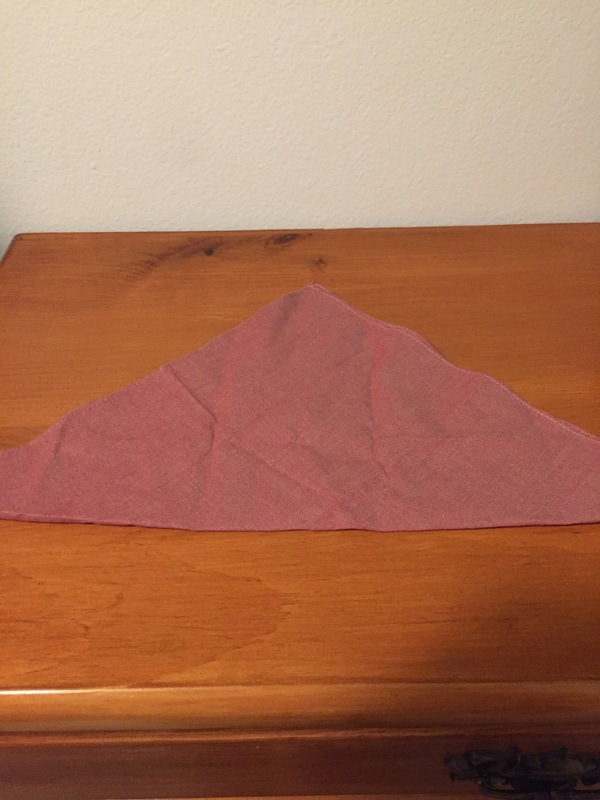 Today’s fold is a two point fold. 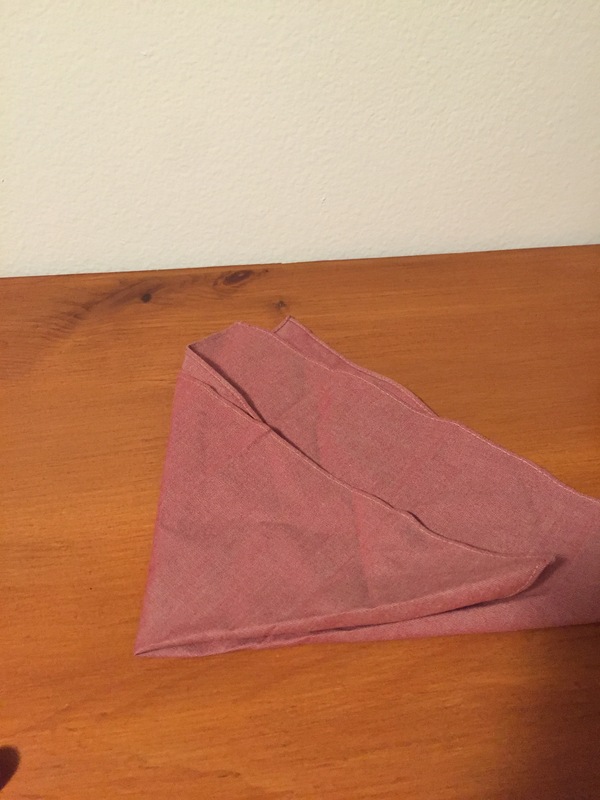 Simple and easy, it’s a classic fold that’s a good look if you’re not trying to draw too much attention to the pocket square. 1. 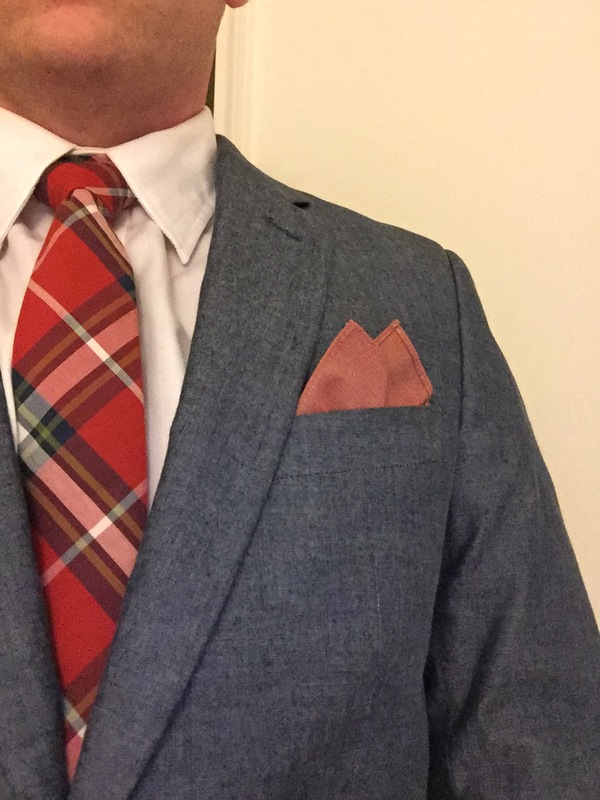 Start with a pocket square. 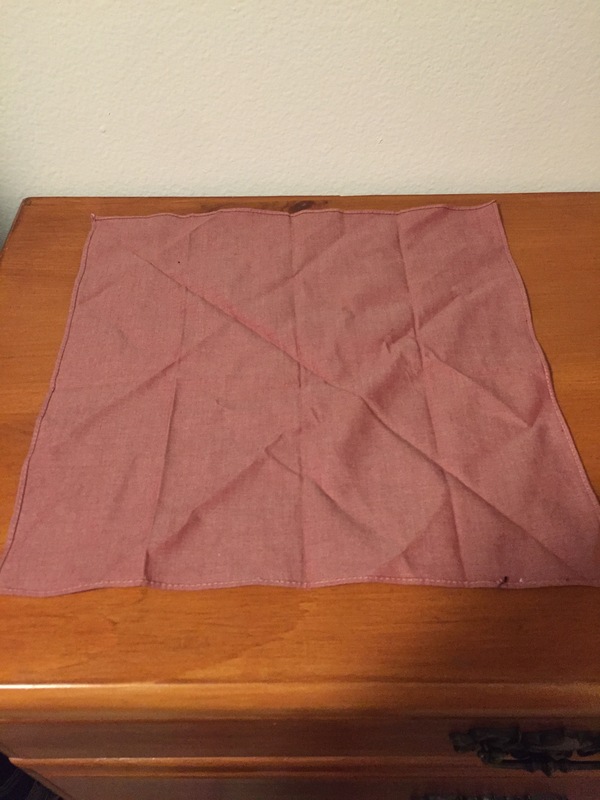 Cotton works well for this fold. 3. 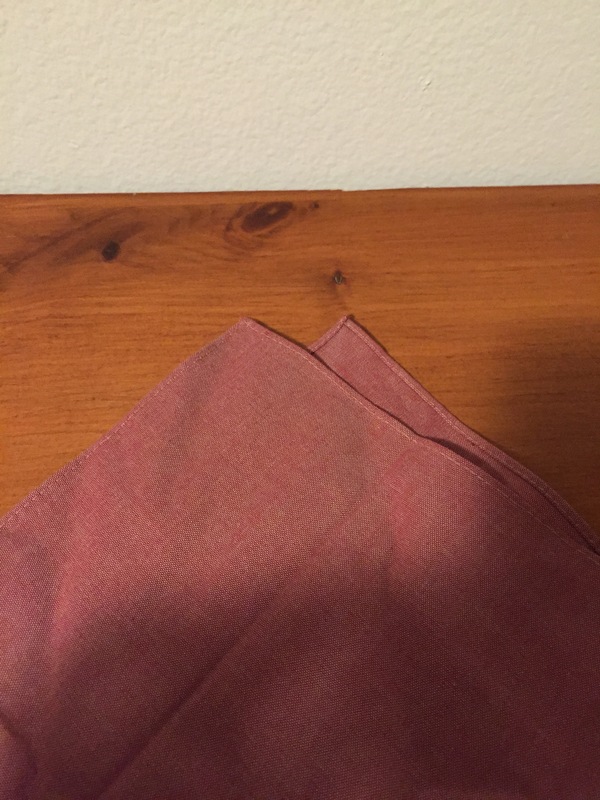 Take the top point of the fold where the two fabrics meet and pull apart. 4. This will create two points. Adjust as desired. 5. Fold over on one side about 2/3 to 3/4 of the way across. 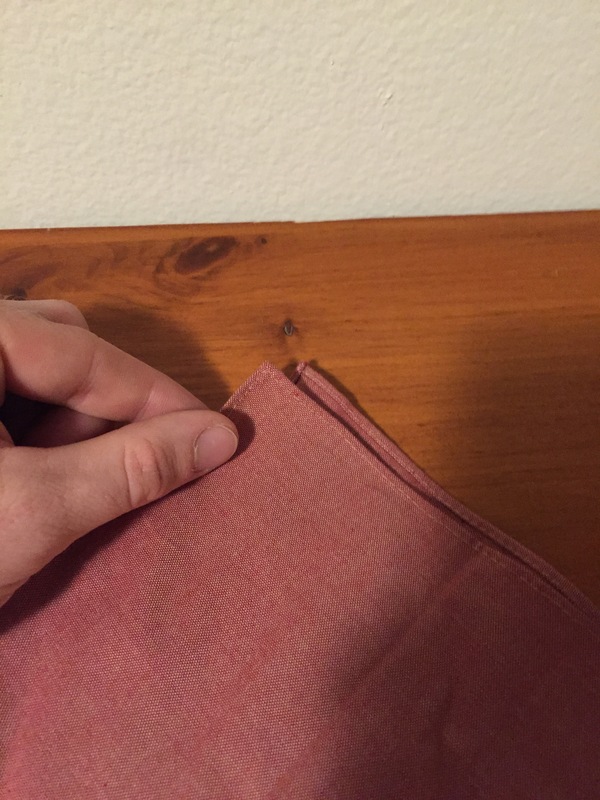 6, Then fold over on the other side and tuck the excess fabric behind. 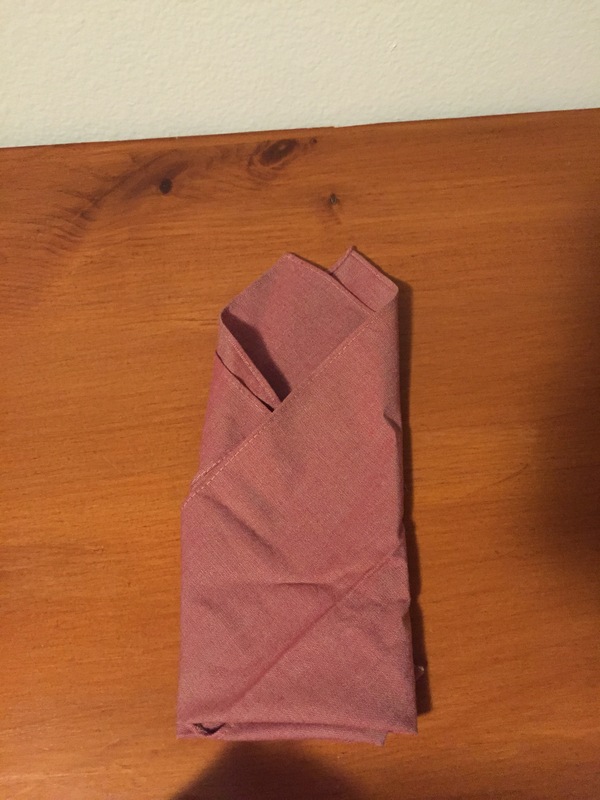 You may need to fold up so that the pocket square fits in the pocket and doesn’t stick out too much. 7. Viola. Insert into your pocket and adjust as needed.